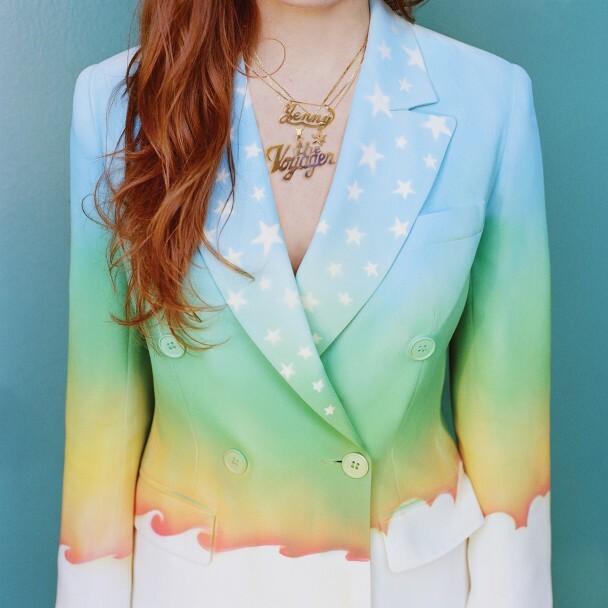 There’s more than a whiff of pop about Jenny Lewis’ new release, Voyager. On a scale from Katy Perry to Scout Niblett, superstar producers Beck and Ryan Adams have delivered an album that’s somewhere shy of Haim but still well north of Annie Clark. It’s a good place to be. Everything sounds wonderfully crisp. The hooks are in exactly the right place. And around the land FM radio stations are updating their playlists accordingly. It’s a genuinely enjoyable record. But is it a Jenny Lewis record? As the head girl of former indie favourites Rilo Kiley, she has a resolutely ‘alt’ reputation to live up to. As the author of two country-flecked, yet slightly folky solo albums, she’d started to create a different niche for herself. And a nice one it was too. So, how does Voyager fit in? Very snugly is the answer. The pristine nature of the production emphasises the phrasing really well. Jenny Lewis is someone who sings likes she’s reciting Shakespeare. Every syllable is perfectly present. Here, her voice is placed right up front. And that can only be a good thing. The themes are also immediately recognisable. Without falling into the trap of thinking that every lyric must be autobiographical, it’s an album of mature themes. Jenny Lewis is the undisputed spokesperson for a lateish-thirtysomething-woman-usually-in-a-relationship-but-with-no-kids-yet generation. She counts the trophy girlfriends among her set of ageing male friends. She sings about making babies rather than making love. It’s a refreshingly strong voice from a cohort of women that is usually silent. And there are some fine songs too. Perhaps the pick is ‘Late Bloomer’. Containing not just one but two great hooks, one for the verse and one for the chorus, it’s a story about a teenage trip to Paris. Take it literally it at your peril, but revel in the songwriting. Jenny Lewis may have ventured out on a voyage from ‘alt’ to pop, but if so there’s still plenty of ground to travel. And it may yet take some time. Let’s hope so. Posted in Jenny Lewis and tagged as Jenny Lewis, Music, Review.